WHEN: December 8-10, 2017 at 6:30 pm, Doors at 6:00 pm. Join us for a full evening of entertainment. Arrive at 6:30 for a vocal holiday treat followed by the full length production of The Nutcracker. At intermission, enjoy live music and the chance to meet a guest artist or two. 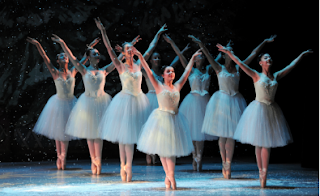 Celebrate The Nutcracker with a complimentary glass of champagne.